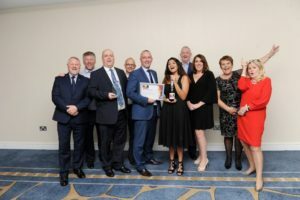 Panasonic are delighted to be titled the Commercial/Industrial Heating Product of the Year winners at the recent HVR Awards with their Hybrid VRF solution, in addition to receiving the Highly Commended Award for nanoe X in the Commercial Air Conditioning Product of the Year (AC Systems) category. The Highly Commended nanoe X deserves recognition. Panasonic have upgraded their nanoe X system to provide enhanced air purification for an even healthier, cleaner environment.